I'm pretty excited about Let's Get Lost because it's a road trip novel--which I've grown to love after a couple of books few years ago. Leila, the main character was on a road trip to see the Northern Lights. Along the way, she met four different people--Hudson, Bree, Elliot, and Sonia--who has been part of her journey, and Leila as part of their lives. During these interactions Leila found comfort to them (vice versa) and even been a way to help them. Leila is a likable character since she's kind, helpful, and pretty cool to be with. She remained story-less during her interactions with the four people as I've witness their lives instead, divided in four parts of the book. I've gotten to know Leila on the fifth part and found out that the trip to Northern Lights have something meaningful than I thought it was. I liked how bits of stories were rolled into one. 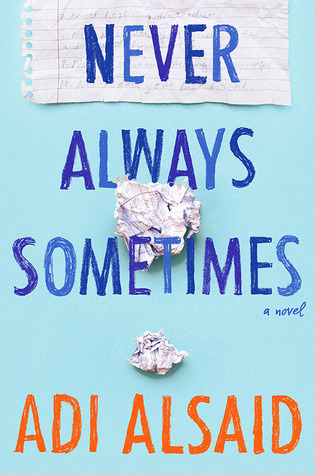 I like how Leila became symbolic, mysterious, and fun altogether, and how she became a way to make someone's heart or life better, and at the same time learning things along the way--for Leila, Hudson, Bree, Elliot, Sonia, and even the reader. I liked everything about it except the ending, I guess. It felt a little flat and predictable for me. I hoped it had an ending that stood out like the entire novel. 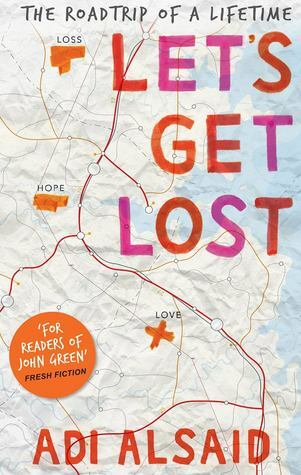 Let's Get Lost isn't just a typical road trip novel. It has something that'll stand out from the others (well except maybe for the ending). It will make the reader go "aww" or hug anyone or anything at reach. It's about life and all the crazy things about it. It was a fun and adventurous journey, I absolutely enjoyed and liked it. I would recommend this book to different kinds of people, since this novel has different kind of characters. *Thank you so much Cara and Harlequin UK for the review copy in exchange of an honest review!